Recent IRENA reports have showed the world that biomass based renewable power costs could be easily lower that conventional fossil or “not renewable” energy costs. But they also showed us that fuel costs (biomass in this case) are critical to obtain low power costs using most “mature” technologies at commercial scale. Unfortunately most research has taken place in devloped countries where feedstock is not always largely available and labor, energy and land use costs are always very high (e.g. Europe, USA, etc.). Michael Taylor, IRENA renewable energy cost status and outlook analyst, explained that the organization has a mandate from its members to accelerate the deployment of all types of renewable energy, and as part of this mandate, IRENA’s Innovation and Technology Centre has a specific program that focuses on the costs and performance of renewable technologies. “The rapid growth in installed capacity of renewable energy technologies, coupled with technology improvements and associated cost reductions, means that even data from one or two years ago can significantly overestimate the cost of electricity from these technologies,” Taylor says. BIOMASS FEEDSTOCK: what are reasonable feedstock costs? We have a different scenarios to consider. A very cheap land often is a best solution if productivities and right management can match a “win-win” story. Irena published some costs from US in figure below. The truth is that those costs could be oftten lower, especially in developing countries and when using low cost biomass on marginal lands. While IRENA’s report recognizes that there are many possible influences on cost, its modeling is based off of three key drivers: equipment cost from factory gate to site delivery; total installed project cost, including fixed financing costs; and the levelized cost of electricity (LCOE), a calculation of the cost of generating electricity at the point of connection to a load or electricity grid. Companies looking for profitable business development, require to minimize feedstock costs. However this is difficult because faming developers, experts in logistic and companies offering low cost biomass fuel products are often not available where power stations are planned. Choosing a reliable supplier requires understanding of local ways and farming techniques that can be introduced to a management unit or Joint Venture dedicated to secure feedstock at a relatively low cost. 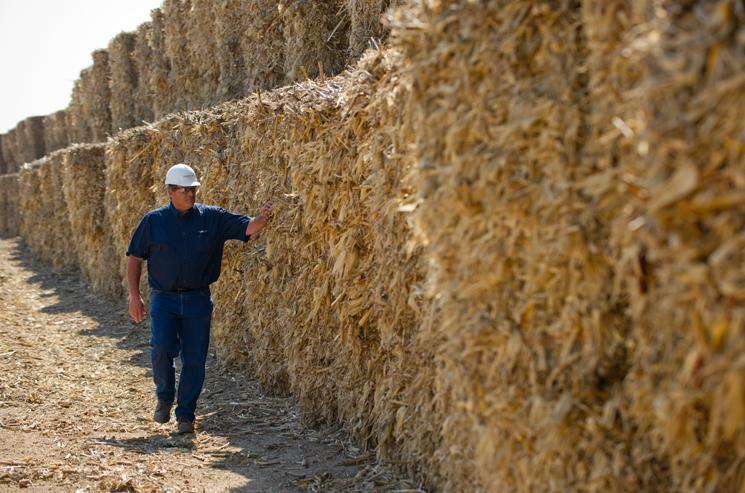 It is our understanding that low feedstock costs produced by dedicated energy crops having a “multi-feedstock approach” could become a key issue for successful biobased industrial projects. Dedicated plantations might offer very low cost. Linkages between potential productivity, lease land costs, water/soil interactions, are all critical issues while defining operational expenses and capital expense of any project. Reducing supply peaks can determine lower costs in long term supply and power productivities. Production and storage measures are always required. Not always highest yields determine lowest average fuel costs. There are several ways to reduce establishment and harvest management costs in higher acreage and consider more than one species to get low fuel biomass costs and uniform and stable supply chains. Self production olf bio fertilizers may represent an way to reduce purchase costs. Improve drying process when required and explore carefully all post harvest, storage pre-treatment (densification) measures. There are even some cases in which best results are obtained by combinations of two raw materials (bagassa+grass silage at 50% moisture or woody chips + energy cane). Reduce distances from biomass fuel origin to power destination. This might require several measures including selection of suitable areas to produce low establishment costs for energy crops or adequate scale choices. Feedstock suppliers must plan for long term cheaper sources of raw materials as a part of their sustainability criteria. This can be achieved by investing in energy crop farming. We have adopted this strategy in our upcoming, wood pellet factory in West Africa. Biomass costs will continually go up and just as the fall guys will continue to pay for the huge and enormous subsidies given out to the money chasers (that is the Public-at-Large, the Bank-Rollers to these proposals, since there is no such thing as Government Money, it is all from Tax Payers and Utility Payers) since the costs of using biomass are always going to be high. And now as we are seeing these biomass-incineration plants having to buy their sources of biomass for over $400-00 (€350-00) (£300-00) per tonne it makes no sense to continue this route. We can already generate Renewable Electricity/Energy by using the advanced wind energy turbines that are twice as efficient as the conventional wind turbines (based upon the Betz formula) and these need not be any higher than 20 metres and on a like-for-like capital cost can be built for barely 20% of these conventional wind turbines. Furthermore we also now have the ultimate flexible Photo-Voltaic cell system that can be applied by a spray-on system and it is barely a few millimetres thick and has better energy characteristics than the current hard plate systems we see around. This system can again be installed for less than 25% of the existing system and furthermore it can be applied to any surface – new or old – such as a statue like the Statue of Liberty or as we read the other day Christ the Redeemer in Brazil etc., or a roof to a factory or an airport and the likes, or a wall to a building or a dam, or a bridge -such as the Oresund Bridge, the Pond du Nord, or the Forth Road Bridge, or a railway and road cutting and more. And with the advantage that this system can store electrical energy for over 7 days. This means that the system can be used and applied to any house or apartments and produce enough electricity to make the dwelling self-sufficient in electricity throughout. Who then needs biomass incineration plants? Sorry Petre, but I disagree. As IRENA reported, feedstock costs are being reduced as well as power and heat costs. Wind and solar have larger CAPEX and OPEX because they can’t produce all the time. With time, batteries and energy storage might help. Right now there is no one tech solution to be the best everywhere. Biomass energy will have lower and lower cost because there are more and more synergies between farming, food and energy and waste uses but also (as reported by most organizations including FAO, IRENA, AEBIOM and many others) because processing technologies increase converion efficiencies all the time. Feedstock costs are very stable in all reports and they basically could use biofuels instead fo diesel, so there is no reason to believe they will increase in price. Only increment is biomass valorization in all regions and that is normally first few years. Then stable heat and power costs are expected.